What an ending! Did you see it coming? Maybe in a way you did, because it seems inevitable -- it's the perfect ending, the only ending -- but how they got there is what makes it great. 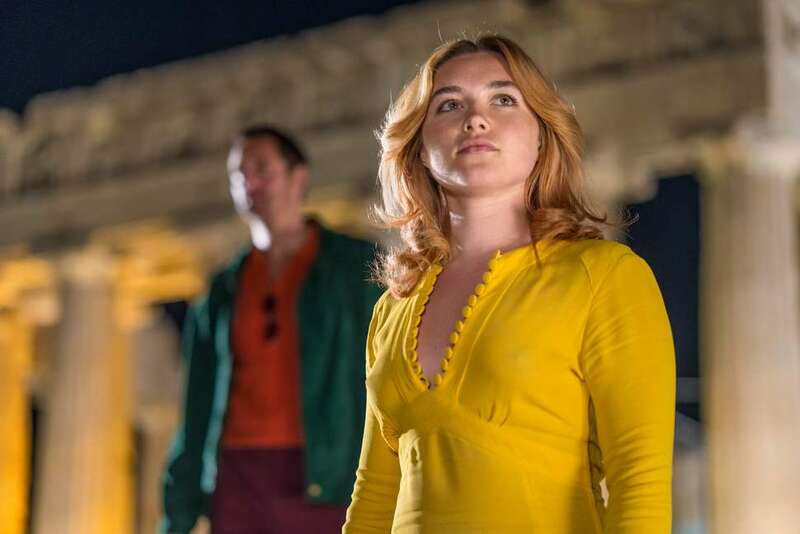 I speak of the final episode of Park Chan-wook's adaptation of John le Carré's The Little Drummer Girl, and if you haven't seen it go and read our preview conversation with producers Simon and Stephen Cornwell and then head over to AMC and watch the show. Luckily, when I had the Cornwells (John le Carré's sons) on the horn, we set aside some time to talk in full spoiler mode. So you've seen the show, you have questions. You've come to the right place. Thrillist: Okay, so the big question. What if Khalil never noticed the radio, never took out the batteries? Is Charlie running off with him? Is she going to be by his side as he continues his career as a terrorist bomber? Does she have that in her? Simon Cornwell: It's the big question! Would she have gone off with him? And if so, would she have done it as an Israeli agent? That's what none of them know. Stephen Cornwell: And that's the beauty of the story. The lack of resolution. It will always hang over her. And if she did go with Khalil, she can't escape the fact that her history with Michel was a fantasy and that she was once working with the Israelis. So, this is a small point, but the Israeli professor fakes her death. What happens to her? Stephen: Well, you have to remember this is an analog age. People have an ability to disappear and not be Googled. But at the end of the day, you know, it was very controlled news. Who was the audience for that deception? It was very specific. Aha! So that was a fake TV broadcast announcing her death, then? Pointed just at Khalil? Stephen: All these are good questions. Are women going to get pissed off at this show? That it depicts a woman without agency doing what men tell her to do and falling in love all the time? Stephen: Those are all very interesting conversations. What's fascinating about Charlie is that she is, at times, very engineered by men. Both Kurtz and Becker are profoundly manipulative of her. And yet as the story progresses they become completely dependent on her. She moves beyond their control and creates her own narrative. That doesn't make it simpler, she hasn't abandoned her emotions. But she's in charge of them whereas before they were in control of her, without becoming superhuman. So Charlie, out of Florence Pugh's mouth, kinda throws her profession under the bus at the end. There's the "So, what are you?" "Just an actress" exchange. That had to have caused some nervous laughter on set. Simon: There's certainly some humor all throughout the show. And I must point out that I think it's Khalil who has that specific devastating "just an actress" line. I don't think Charlie has it in her to be that self-deprecating. Stephen: The themes of identity and roles and who we are, these are all very universal things that are heightened by being an actor. Simon: But there are parallels throughout. In episode 1, Kurtz says, "I am the writer and director of your little show," and that was a statement that wasn't lost on director Park.